Looks like we can have too much of a good thing as another weather warning is issued. Unless your whole summer's sun cream stock has already been depleted, there isn't going to be much optimism on the weather front as Met Éireann has issued a Status Orange weather warning to 15 counties with thunderstorms set to arrive on Friday evening. Widespread thunderstorms with frequent lightning are expected to hit Connacht, Laois, Longford, Offaly, Westmeath, Meath, Cavan, Monaghan, Clare, Limerick and Tipperary. 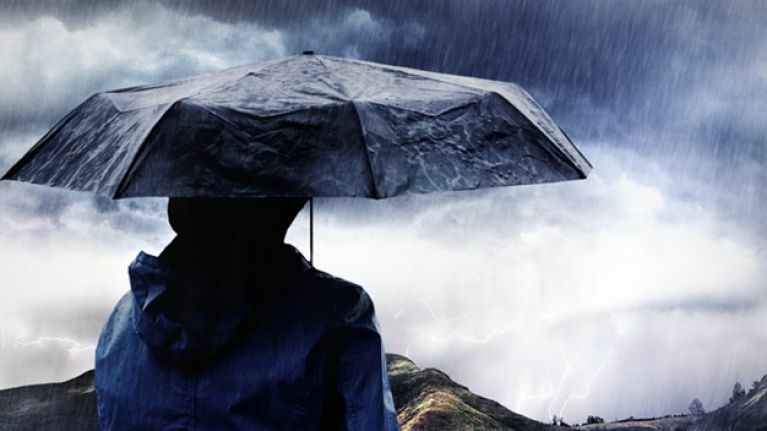 The national meteorological service has also warned that potentially large amounts of rainfall during a short period may lead to spot flooding. A Status Yellow thunder warning was also issued for Carlow, Kildare, Kilkenny, Louth, Wicklow, Donegal, Cork and Kerry, with scattered thunderstorms expected during the afternoon and evening. Similarly, people are urged to be wary of potential localised spot flooding, which will be possible in some areas. The Orange warning was issued at 12pm on Friday and both warnings will remain valid until Friday night at 11pm.